I have just finished my sketch of my species theory. If as I believe that my theory is true & if it be accepted even by one competent judge, it will be a considerable step in science. 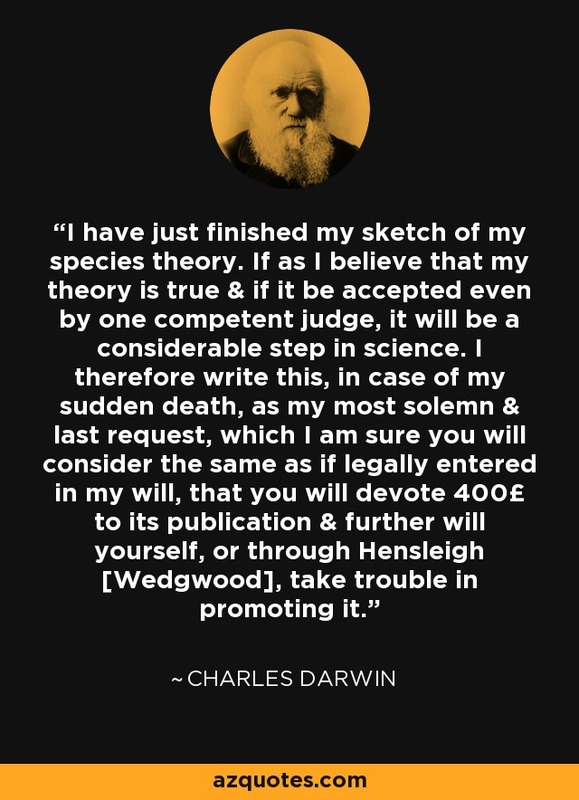 I therefore write this, in case of my sudden death, as my most solemn & last request, which I am sure you will consider the same as if legally entered in my will, that you will devote 400£ to its publication & further will yourself, or through Hensleigh [Wedgwood], take trouble in promoting it.